We made it! 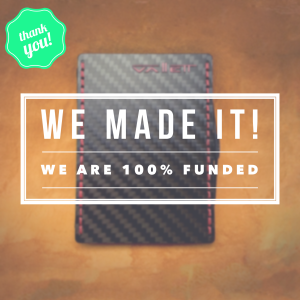 Vallett Kickstarter project fully funded! Hooraaay! We’ve got awesome news! We reached our goal and our dream will become a reality. We’ve raised over $20,000 to help Kickstart our company dream and with hard work and your help Vallett will soon be an official accessories brand! You can check out our Kickstarter page by clicking this link.